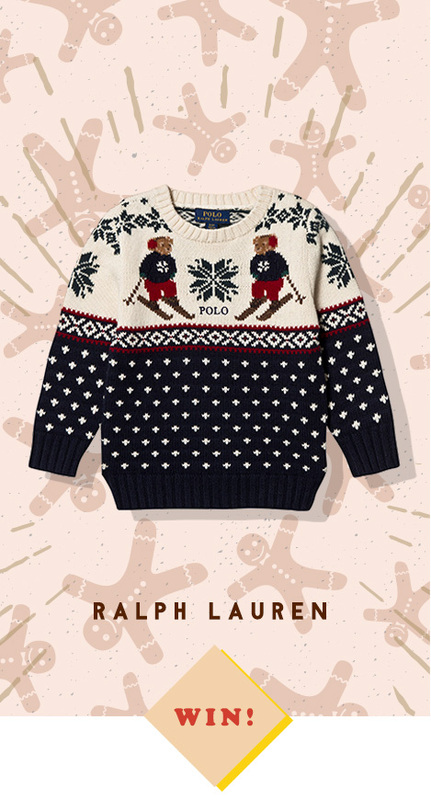 WIN A RALPH LAUREN JUMPER! Track how many sleeps till Santa arrives with our Advent Calendar, featuring our Alex and Alexa Christmas family. 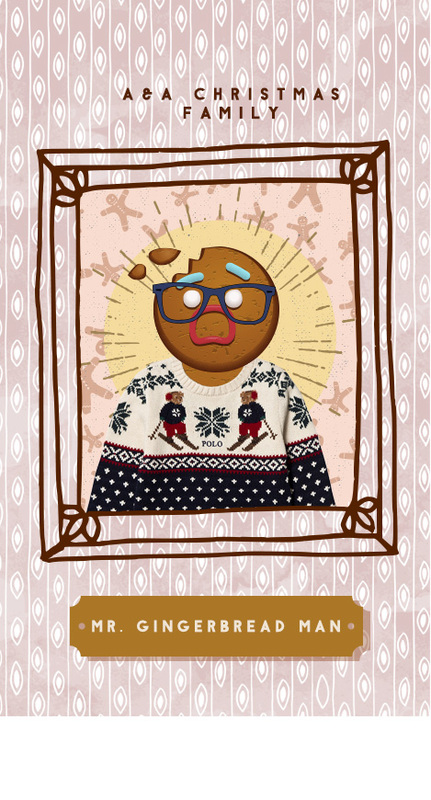 Behind our second door is The Gingerbread Man. He can be a little clumsy and always seems to misplace his belongings, but one thing he never forgets is to step out in style! He loves rocking Christmas jumpers, especially when they’re from Ralph Lauren. Today we are giving our readers and followers the chance to win a Ralph Lauren jumper! Leave a comment below telling us what your favourite Christmas jumper looks like and the story is behind it. Entrants must comment on this post telling us what their favourite Christmas jumper looks like and the story behind it, as well as follow Alex and Alexa on Instagram. No purchase necessary. Judge’s decision is final. The competition is only open to followers of Alex and Alexa’s Instagram. Alex and Alexa will also cover the cost of postage and handling. There is simply no cash or award alternative. All entries must be submitted by Midnight (GMT) 5th December 2018. The winner will be contacted via email. These rules may change at any time without notice, although copyright and licensing rights will not be affected. My favourite Christmas Jumper has a Scotty dog in a Christmas jumper with little pom poms that light up when you walk. It was a present from my sister and I love it. As a kid, I had one with snowflakes, was wearing it when it was to big and then when it was too small. Mom bought each year a new one, but I always chose that old one with snowflakes. I don’t know why???? My fav jumper is my daughter’s Christmas dinosaur jumper – it’s a t-Rex dressed as Santa and she got it because it’s fierce like she is! My little Max likes this jumper so much! He allready has the one with the buttons but that one is getting old and too small now. I would love to dress him in his favorite christmas jumper again! The happy face when he is wearing it and his small hands discovering all the little dots and details are priceless! Don’t need toys when wearing this lovely jumper. As small as he is he has got some taste for fashion! He would need size one year! Hugs and kisses from Max! So far my favourite Christmas jumper is a red/ navy jumper with a reindeer on it. It is my 3 year old son’s favourite jumper because he associate it with Christmas, his dad and obviously Santa. Every time he puts it on he screams “it’s Christmas” and “pappa stay home soon!”. The pure joy in his eyes is the best!